Paddy Power are renowned for some of their television adverts, alongside their marketing campaigns, but their casino welcome bonus is worth signing up for alone. Paddy Power is Ireland’s most popular online casino. It has made its name as one of the leading global websites for sports betting and that success has spread to the online casino world. 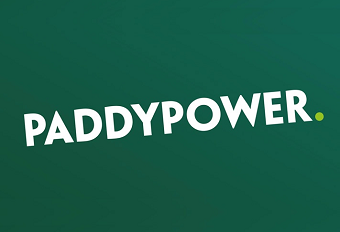 Founded in 1988, Paddy Power has predominantly been a bookmaker for sports betting, its profile being raised through the use of controversial, as well as comical betting markets, offering odds on events that are entirely unrelated to the world of sport. Their shops used to be all over British and Irish high streets, but since the advent of technology and the internet, Paddy Power have moved online, taking their sportsbook there, as well as the creation of an online casino. They have an easily-accessible site, with easy-to-use toolbars and drop-down menus to help you navigate around. Their welcome bonus isn’t too shabby either and that’s one of the attractions surrounding online casinos. Aside from the fact they’re open 24 hours a day, seven days a week, casino bonuses, along with welcome offers have helped generate a whole new market, as well as entice new players to sign-up and register with the sites. Regardless of whether new customers want to play table games like poker, roulette or blackjack, or slots, there’s something for everyone with welcome offers and promotions. New customers at Paddy Power Casino can take advantage of an excellent first deposit bonus when they sign up, register and make a deposit on the site. A first deposit bonus is very simple to understand, and it means that players will receive a bonus on top of their deposit, once they’ve made one on the site. If you make a minimum deposit of €10, Paddy Power will allow you to play with €50, in addition to 20 free spins to use on their fantastic range of slot games. This offer is only open to new players, who’ve never played at Paddy Power Casino before. To participate in the promotion, players must make a minimum deposit of €10, with a maximum bonus of €40 on offer from the casino. As soon as you’ve made a deposit, the bonus will be automatically credited to your balance. Once your bonus has been redeemed or lost, you’ll receive 10 free spins, with the following 10 free spins becoming active the following day. You need to accept these from the promotions page. There’s a list of almost 50 eligible games on the site for players to use their free spins on. There are wagering requirements linked to this bonus, with players having to wager it 35 times. This offer is ineligible to those making deposits using e-wallets, including PayPal, NETELLER and Skrill. The welcome offer isn’t the only thing that new customers can take advantage of at Paddy Power, as there are plenty of others to have a look at and enjoy the benefits from under the Promotions page. Aside from the welcome bonus mentioned above, there are two other deposit bonuses to enjoy, one is a 100% bonus up to €100, while the other is a 200% bonus up to €200. One of the most exciting advancements in the world of online casino is the introduction of mobile gambling. Mobile gaming allows players to enjoy all their favourite games and everything that a casino has to offer, whenever they want and wherever they like. Paddy Power’s iOS and Android mobile app requires no extra registration, nor does it require you to fill out extra details or have different funds in another account. Your one account is used across all different platforms. Simply go to your provider’s app store, download the app and log in with your existing Paddy Power account details. This’ll give you access to a fantastic casino experience anywhere and everywhere. The mobile casino gives you a superb range of games, as well as the ability to make fast deposits and withdrawals. The introduction of mobile gaming has revolutionised the gambling industry and has made gameplay much more accessible to casino-goers. When you accept any promotions, whether it’s free spins, first deposits and other cash prizes, you must check the specific terms and conditions of use for your bonus before enjoying it. There are usually wagering requirements to take note of before taking part in any promotion. These are requirements that you must meet in order to unlock any winnings from the bonus. At Paddy Power Casino, these requirements are set at 35x, meaning that you must wager your bonus 35 times before making a withdrawal.